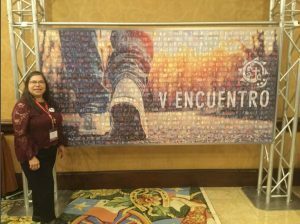 The V National Encuentro on September 20-23, 2018, in Grapevine, TX, brought together the delegates from parishes of the XIV Regions across the United States with Hispanic/Latino communities. I was one of the 14 delegates from the Archdiocese of Hartford in Region I who attended this life transforming experience. 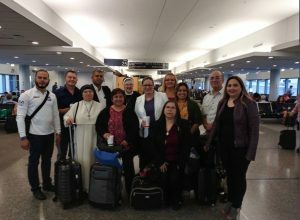 The V National Encuentro gathered Bishops, priests, deacons, Hispano/Latino lay leaders and young adults leaders representing a vibrant Catholic Church across the United States. This is the first time I attended such an amazing gathering of people of faith. The joy, the hope, the commitment, the will of the Hispano/Latino faithful to bring the Catholic Church in the US to a better future filled my heart with gladness, and I thank God for letting me be part of it. Hearing the struggles of the young adults in finding a place in the Church while many of them live an uncertain future due to their immigration status underscore that every one of us has to do more to support them and to help them to be prepared to take on leadership roles in the church. The masses, prayer services and music were very up lifting. The regional, interregional and ministerial breakout conversations showed me that, even though we have specific needs by region, we all agree in the imperative need to have strong faith formation programs to form parents, children, the youth, young adults and all adults. We need to prepare them better to be the missionary disciples we all are called to be. 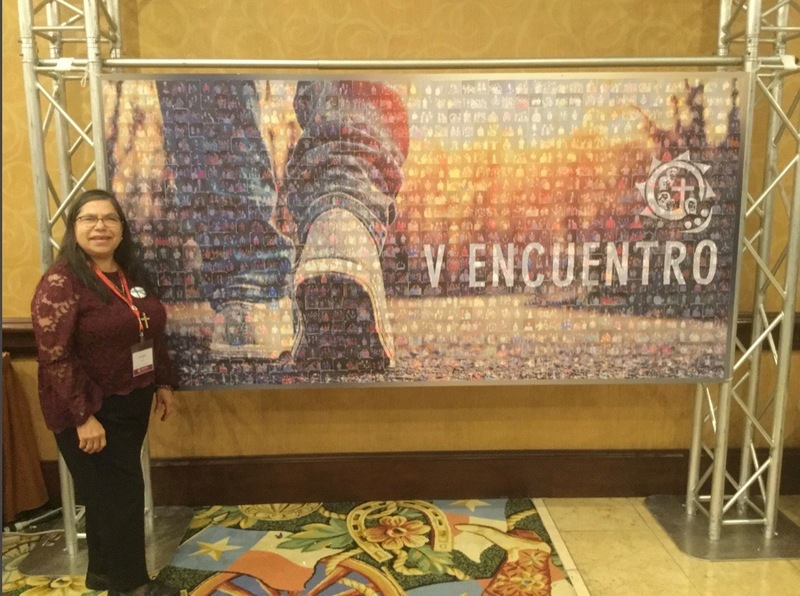 The V National Encuentro increased my awareness that much work needs to be done to do outreach to the people in the periphery, to serve them and invite them to be the light in the church by participating with their gifts and talents. 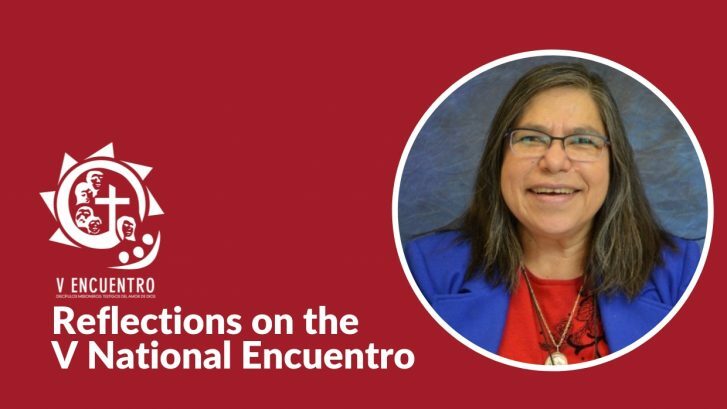 I know that the V National Encuentro was one mega event of the V Encuentro process. There is still a lot of work to do. I pray to the Holy Spirit to guide me to do what God wants for the Hispanic/Latino faith communities in the Archdiocese of Hartford. 2019 © FCH. All Rights Reserved.